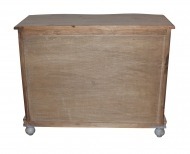 Madelyn Chest - White x White - Antique and Fine Decor for the Home. 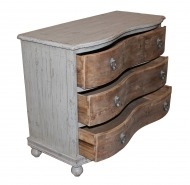 The Swedish inspired Madelyn chest is made of reclaimed solid pine with a distressed gray finish and natural drawers. 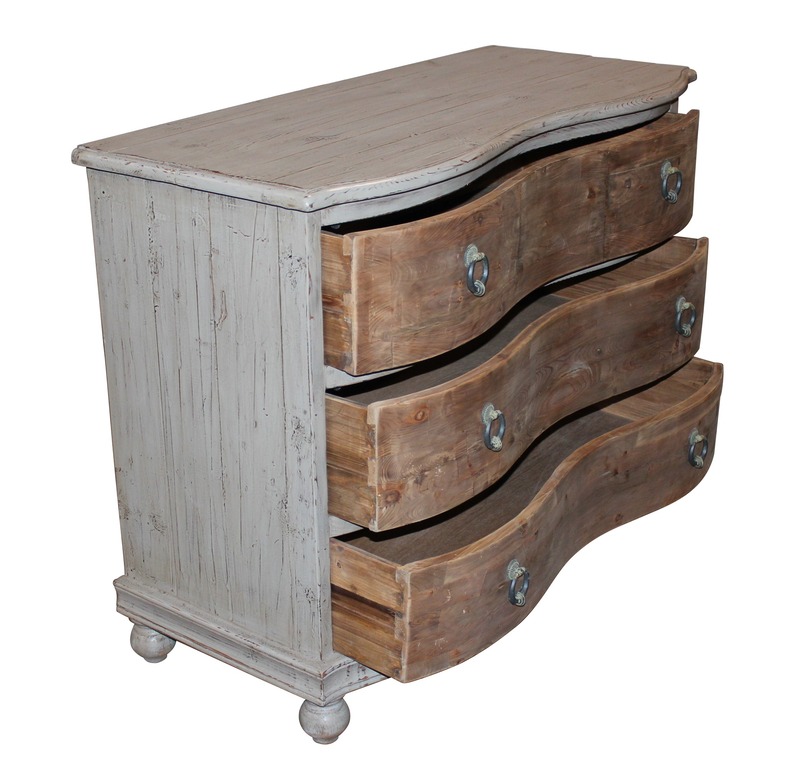 Curvy shaped front, three drawers and bun feet. Each piece is hand-finished so no two are exactly alike. Aged brass drawer pulls with ring. 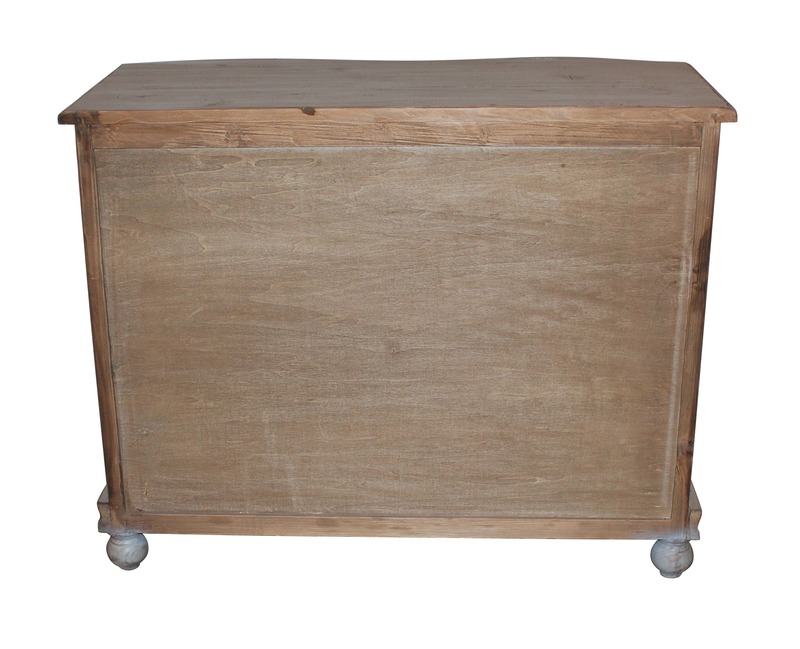 Reclaimed pine, by nature, is apt to have knots and imperfections adding charm and character and should be expected with this item.